Ideal for sketching, layout, and design work, this portable gridded sketch board is made of extra-rigid, 4 mm white Masonite with black 1" grid lines and ¼" hash marks. Convenience features include a cutout handle, smooth edges, and a firm spring clip for holding paper securely in place. A heavy-duty rubber band secures papers during transport. 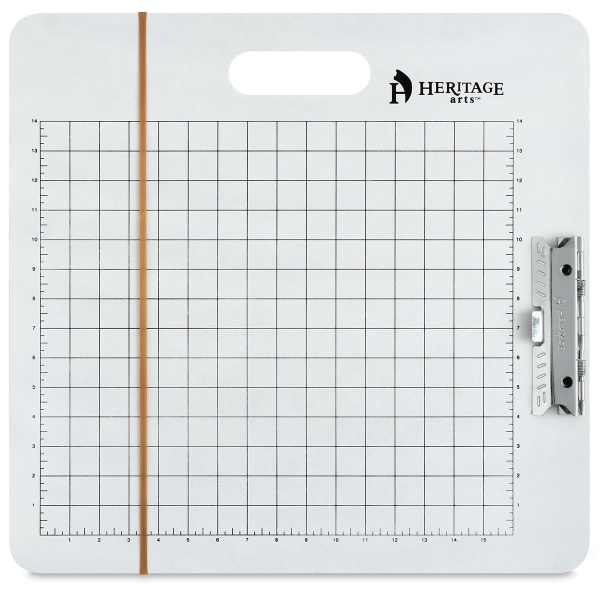 These sketch boards are great for the artist, designer, or architect on the go. ® Alvin is a registered trademark.™ Heritage is a trademark. ® Masonite is a registered trademark.